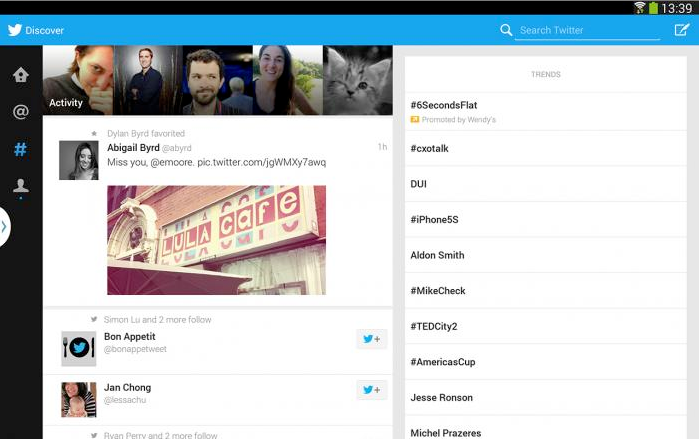 Today, Twitter announced a brand new tablet-optimized application for Galaxy Note 10.1 – 2014 Edition tablet owners. Yes, you read that right, it’s a complete overhaul of the tablet app for a single device. The Note 10.1 – 2014 Edition hit the shelves in the U.S. starting today, and anyone who has picked one up, can start experiencing the refreshed Twitter app. In terms of what’s new, it’s your basic Twitter app, but there have been a few features added in to take advantage of the Note 10.1’s large display and included stylus. The app supports multi-window, so reading through tweets and browsing on the Web at the same time is now possible. In addition, you will see a brand new Twitter widget for your homescreen, as well as an option to draw on your photos before tweeting them. If you fancy yourself an artist, that might be fun. According to Twitter, we should expect this look to come to additional Samsung tablets and “other Android tablets” sometime in the future. In the meantime, feel free to download and use the leaked version that has been circulating for the past month. Are we surprised that Android users are currently getting the shaft from Samsung and Twitter with this exclusive? No, no we are not.